Please consider using the following messages and graphics on your Twitter, Facebook and/or Instagram feeds. We’ve offered this sample schedule, which you can program in advance. The URLs direct to www.wedrivetozero.com/dui, except for the two posts on NHTSA’s “SaferRide” app, which directs to a page where users can download the app. You can download these graphics, sized for Facebook, Twitter and Instagram below.. Going green this #SaintPatricksDay day? Drunk, drugged or high it's still a DUI. Plan a way home with the SaferRide app. Help keep our paddy wagons parked. 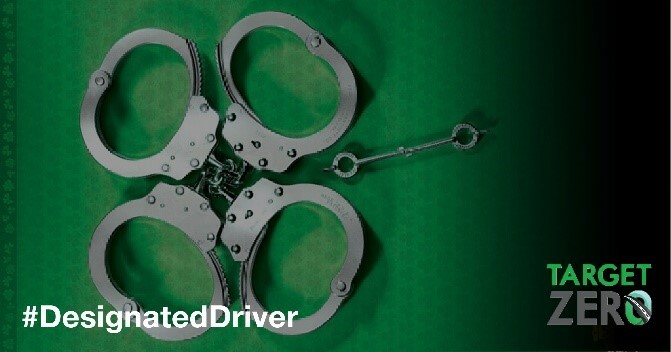 Volunteer to be the #DesignatedDriver this #SaintPatricksDay.